Team Tekin Racing is an industry leader in the r/c racing electronics market. They offer top level competition racing esc’s and motors which often outlast the competition by years. Offering free software updates to their over engineered electronics hardware packages means the customers can know their investment into their electronics will pay out immediately, and over the long run. 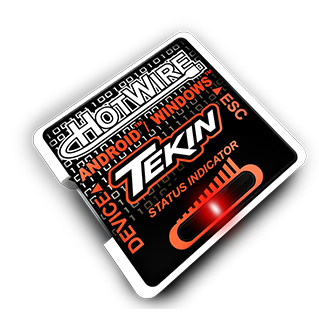 My favorite product is the Tekin Hotwire Gen2 which allows me to program any Tekin esc with my Android phone or tablet.